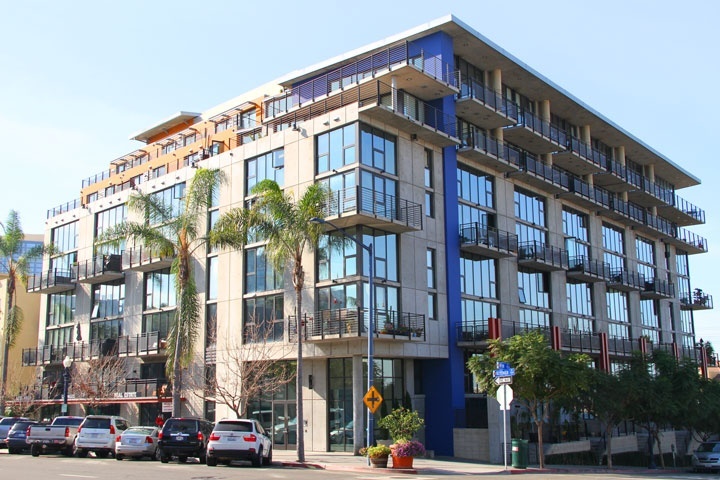 Doma condos are located at 1750 and 1780 Kettner Blvd in San Diego. If you are looking for a condo in the Little Italy District of Downtown San Diego then Doma may be the place for you. Doma is a 7 story building with 121 residential units. Homeowners association dues run $384/month for a prime location well situated building in the heart of Little Italy. Below are the current Doma downtown San Diego condos for sale. If you are looking for a downtown Doma condo for rent please view below as all Doma rentals are featured here. We also provide all sold Doma condo sales at our San Diego Sold Search. We are the Downtown San Diego Real Estate experts! Interested in other areas of San Diego Real Estate for sale? For a complete list of San Diego homes for sale please visit our San Diego MLS search. All Doma condos for sale are also listed below. Questions? Let our team of San Diego Realtor Associates help you. Please contact us via email today for a quick response!